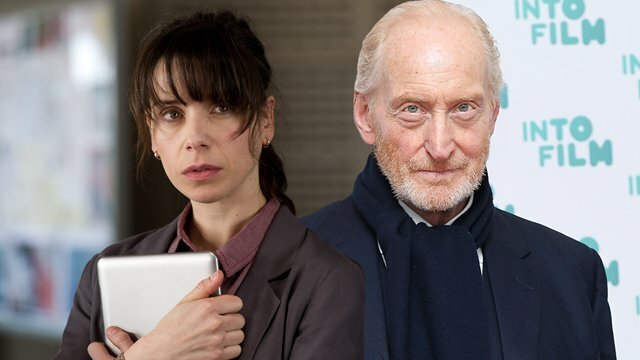 The Godzilla: King of the Monsters cast has grown today with the addition of both Sally Hawkins and Charles Dance. The Hollywood Reporter revealed that Hawkins will be reprising the Dr. Vivienne Graham role from Gareth Edwards’ 2014 Godzilla, while Deadline broke that Dance has signed on to play an undisclosed role in the Michael Dougherty film. The pair join a King of the Monsters cast that also includes Millie Bobby Brown, Kyle Chandler, Vera Farmiga, O’Shea Jackson Jr. and Aisha Hinds, as well as the returning Ken Watanabe. RELATED: Stranger Things’ Millie Bobby Brown to Star in Godzilla: King of the Monsters! Hawkins was nominated for an Academy Award for her performance opposite Cate Blanchett in Woody Allen’s Blue Jasmine. She can be seen coming up reprising her Paddington role in that film’s big screen sequel. Dance, meanwhile, is well known for having played Tywin Lannister on HBO‘s Game of Thrones. He was recently seen on the big screen in Underworld: Blood Wars. The previous Godzilla film brought in $529 million at the global box office and starred Aaron Johnson, Ken Watanabe. Elizabeth Olsen, Sally Hawkins, and Bryan Cranston. King of the Monsters is part of the Legendary and Warner Bros. cinematic Monsterverse, which includes, in addition to Godzilla and the recent Kong: Skull Island, an upcoming Godzilla vs Kong feature film, set for a May 22, 2020 release. What do you think of these new additions to the Godzilla: King of the Monsters cast? Who else would you like to see appear in the 2019 release? Let us know your thoughts in the comments below!